Kerala is not only a beautiful destination in Southern India known for its scenic beaches and serene backwaters. Of late Kerala has gained international attention for Medical Tourism and is becoming a popular international medical tourism destination. Kerala is famous for its alternative medical therapies such as Ayurveda, which help to rejuvenate and revitalize the body. What many tourists have now discovered is that Kerala has a pool of trained doctors and nurses and an excellent network of hospitals that offer international standard treatments at very affordable prices. Previously Indians working abroad, such as residents of Kerala working in the Persian Gulf countries, would return to India for medical treatment. Now International patients too have realized the advantages of traveling to Kerala and the medical tourism industry has begun to take off in a big way. Faced with exorbitant fees for procedures such as cardiac surgery, dentistry and cosmetic surgery in their home countries, patients from the West and the Middle East have begun looking at India and Kerala in particular. Indian doctors have established themselves as highly skilled and conscientious caregivers worldwide. Many doctors who have trained or worked abroad have returned to India to work here. Their reputation has led to the growth of the Medical Tourism industry in Kerala. 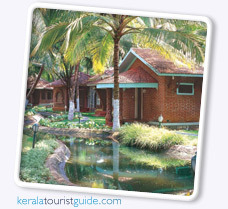 Kerala Travel Tourism offers tour packages that combine medical treatment with a restful holiday in Kerala India. The world-class hospital facilities, pre and post-operative care and pleasant climate make your medical treatment and recovery in Kerala a positive experience. Some Medical Tourism options in Kerala are given below. Kerala Ayurveda Resorts provide treatments for ailments such as arthritis, paralysis, obesity, sinusitis, migraine, premature ageing, skin ailments etc. Ayurveda Resorts in Kerala cure detoxify and rejuvenate the whole body system for curing the ailment and enable general fitness. The health and fitness programs in the Ayurveda Resorts in Kerala are based on Ayurvedic oil massages. These massages help in various ways such as improving blood circulation, streamlining the body, building up immunity, ridding the body of toxins and decreasing excess fat in the body etc.